Eliza Jane finally has a name and a dress. 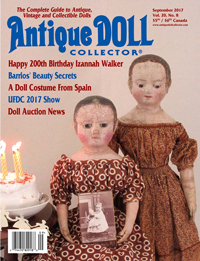 🙂 She is the latest addition to my family of antique Izannah Walker dolls and is named after my great-grandmother, Eliza Jane Tarvin Stogner. Her dress and petticoat are antiques that I purchased last summer and fit as if they were made for her. 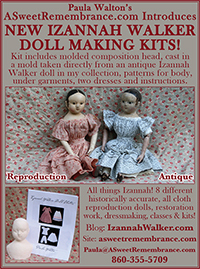 Once I find time to make a mold, Eliza Jane will bring the number of Izannah Walker dolls that I can reproduce for you up to twelve! 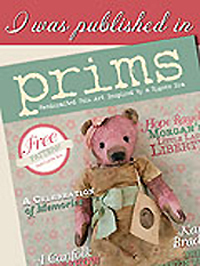 Recently my friend, Edyth, suggested that I create a comprehensive list of online sites where people can see my dolls and other handmade works. I do have a lot of different blogs, websites,etc. so a handy reference list is a great idea. Thank you Edyth!!! 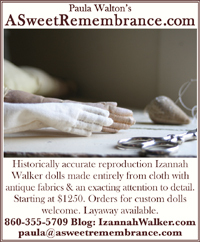 www.izannahwalker.com – My Izannah Walker Journal and occasionally a few other dolls too. 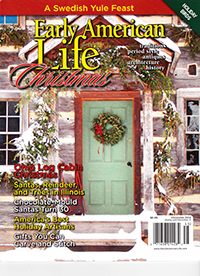 www.paulawalton.com – My 18th Century Home Journal all about everyday living in an 18th century house. CLASS MEMBER SITES FOR STUDENTS IN MY “CLASSES BY MAIL”- these are invitation only for students. 45 Boards and 30.9 k Pins! www.facebook.com/ASweetRemembrance/ All things A Sweet Remembrance, photos and tid-bits you won’t find on my blogs and website, plus a handy notification of blog posts too. Eliza Jane finally has a name and a dress. 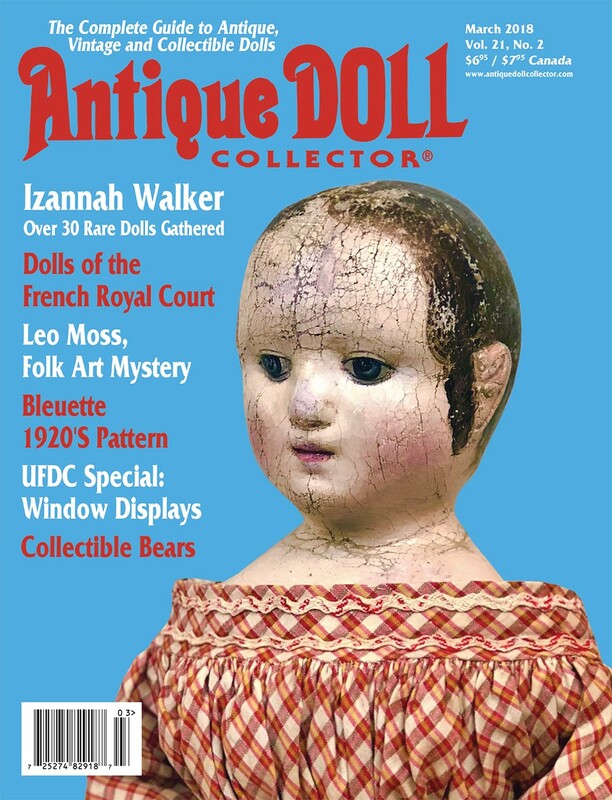 🙂 She is the latest addition to my family of antique Izannah Walker dolls and is named after my great-grandmother, Eliza Jane Tarvin Stogner. 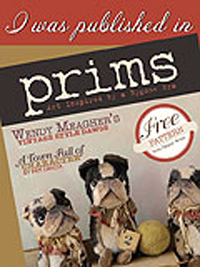 Her dress and petticoat are antique that I purchased last summer and fit as if they were made for her. Once I find time to make a mold, Eliza Jane will bring the number of Izannah walker that I can reproduce for you up to twelve! You may click on any photo to enlarge it. Hi Paula, she is so wonderful. She will be so happy living with her new family. Her white dress is darling. 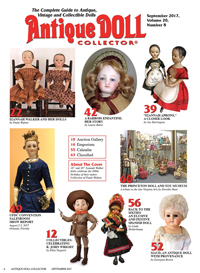 Lately I have been dressing my antique dolls is white. I like it as much as the red. The way her eyes are look just like my Miss Anna’s real eyes. Whenever you get a chance that’s how I would like Anna’s eyes (with no white) in them just the color of her face. With a doll this old you don’t see any white, it’s too bold. Do you agree? Hope all is well with you this spring. Be careful outside, I understand the ticks will be even worse this year, according to the news. I’m babysitting Christian today. He was asleep when they got here at 10:00 since he and his baby brother were up all morning. Yesterday they We’re both here. New baby brother (Connor) is such a good baby, such a sweet baby. Doesn’t cry like Christian did at that age, since he had terrible gas in his tummy for so long. Got to go now Christian just woke up. Fondly, Mary G.
Lucky you, to have the little one(s) there two days in a row! Thank you, I think Eliza Jane is much happier here with the rest of the girls. 🙂 We’ll have to have an in depth discussion about Anna and her eyes when she gets to the top of my schedule. I’ve been thinking about the best approach quite a bit, as I work on other things. The ticks are quite bad so far. I’ve already gotten Lyme Disease again this spring and just finished the last pill of my antibiotic prescription yesterday. Last week, while I was still on drugs, I found another deer tick, nestled in between my toes! Needless to say, ticks are NOT on my favorite bugs list. Hi Paula, I love your new girl also her name Eliza Jane is so fitting. I think her white dress is just so beautiful, it suits her. What happens now that you found another tick? Do you have to go back on medication? Also, are you in pain? I’m so sorry this is happening to you. Oh my goodness! Eliza Jane is just wonderful! Her name is perfect, and so is the antique white dress. The dress was indeed meant for her, and Eliza Jane herself was meant to come home to you and her lucky sisters. She looks to be right at home. Her face is just so very sweet, and tranquil. And I’m so happy to see that she is a very patriotic girl as well! What a charming little photo shoot for sweet Eliza Jane. Eliza Jane and I appreciate your kind words. She is one of those dolls that just makes you feel good to be around. I’m actually feeling pretty well, so I think things may be looking up 🙂 I’m not too freaked out by the ticks, but it is annoying. I got bit again yesterday in one of the gardens. Pretty par for the course in CT during the summer.